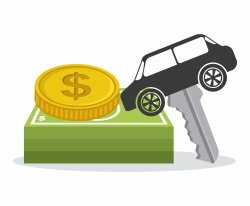 For many potential borrowers, buying used is the most logical way to approach financing a vehicle. According to Experian Automotive's latest State of the Automotive Finance Market report, the gap between average monthly payments for and new and used vehicles reached its highest level on record in the second quarter of 2015. Perhaps that's why used vehicle financing jumped to an all-time high of 55.5% in the second quarter of 2015. Another finding from the survey was a little troubling: 16.1% of auto loans were financed on terms lasting 73 to 84 months. That makes this the highest percentage on record. It's important to be on top of your financial situation, and to be realistic about it. This is especially true if you are trying to finance a vehicle with damaged credit. The number one mistake you can make when trying to buy a car is overextending yourself. If you need to stretch out the length of the loan just to afford the payments, the car is probably too expensive for you. Having your own mode of transportation is often a necessity in today's car-dependent society. 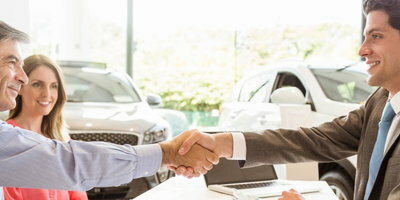 Buying used allows you to obtain your own vehicle in an affordable manner and it allows you a chance to improve your credit with timely payments. That means you'll be able to obtain more favorable terms on your next go around. The average vehicle in the U.S. is now a record 11.5 years old, according to IHS Automotive. This means that even if your situation dictates that you buy used, you can still have the peace of mind that comes with knowing your car is reliable. Theoretically, you could pay off your loan and still have a car capable of running for years. How nice would it be to not have any car payments for a few years? Gone are the days of being tricked into buying a clunker. Thanks to the digital age, it's become easy to track the history of a vehicle using its identification number or VIN. Make sure you also get a vehicle history report from the dealer too. You should also have a mechanic you trust perform a pre-purchase inspection on the car. Additionally, you can use the internet to research vehicle ratings and reviews to get a sense of what you're buying. Nobody likes being turned away, but if you team up with Auto Credit Express, you can stop having your time wasted. We'll pair you with a dealer in your local area that can help you get financed even if you have less than perfect credit. Get started today by filling out our easy and secure auto loan application.